Patricia S. (Trudeau) Mullaney, age 84, of Plymouth, MA formerly a long-time resident of Cohasset, MA passed away on February 8, 2019 with her family by her side. Pat was born in South Weymouth on March 17, 1934. Daughter of the late Priscilla H. (Cormier) and Frank J. Trudeau. She was preceded in death by her loving husband Paul C. Mullaney in August 2004 and her beloved brother Edward Trudeau in January 2014. She was raised in Squantum, MA and was a 1951 graduate of North Quincy High School. 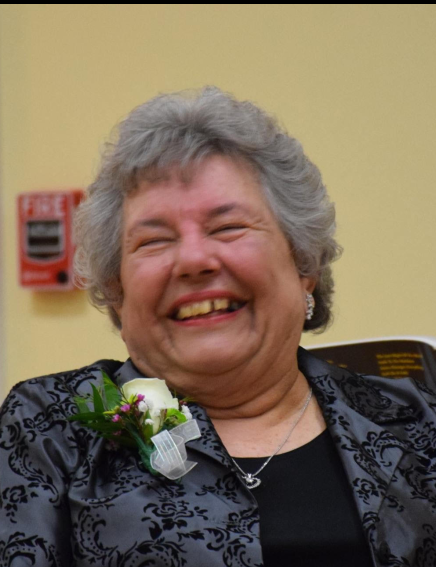 Pat was lovingly known as the “Cake Lady” of the South Shore Community. She began her cake decorating at home and was noticed by Jessica’s Catering and Arthur Roebucks Catering where she continued her career. She was the author of the ‘Chub’s Recipes’ in the book Years of Great Cooking as well as in 1966 she founded the Cohasset Gourmet Club which continues to this day. In addition to all the times she spent cooking and baking, Pat was a retired caregiver to the Elderly Network. She enjoyed spending her time knitting, traveling, and most importantly surrounding herself with family and friends especially around the holidays. Pat was a devoted loving mother to 6 children. She leaves behind her son Frank & his wife Peg Mullaney of Norwalk, CT, daughter Eileen & husband Tom Knudson of Truckee, CA, daughter Nancy & husband Glen Colodny of Forest Hills, NY, daughter Maureen Johnston of Columbia, MD, daughter Beverly & husband Bill Collins of Tyngsboro, MA, and son Brian & his wife Ann Mullaney of Marshfield, MA. Grandmother to Michael and Ben Mullaney, Kristen Aiemjoy, Chris and Alex Johnston, Bryn and Tai Colodny, Bill and Rachel Collins, and Brittany, Marissa and Matthew Mullaney. Great-Grandmother to Orion Aiemjoy and Mia Mullaney. A funeral Mass will be celebrated at St. Anthony’s Church, Cohasset, MA on Friday 10 am, interment to be followed at the Woodside Cemetery, Cohasset, MA. Visiting hours will be at McNamara-Sparrell Funeral Home, 1 Summer St. Thursday, 4-7pm (across from St. Anthony’s Church).